Here is a post specific to a piece of information. Like a review, but I don't go over every component of it, just how it is most useful to me, and how it could be most useful to yourself. It's about the [PRO]Master 5111 Gimbal Tripod head. Typically gimbal heads like this are made for long telephotos. They through off the centre of balance for your camera so much that on a regular tripod, you can be liable to smash the lens against a tripod leg. So a gimbal head like this one allows you to pan and tilt smoothly when you have a large lens attached - normally attached by the lens mount for the tripod. I don't always use things they way you're supposed to. 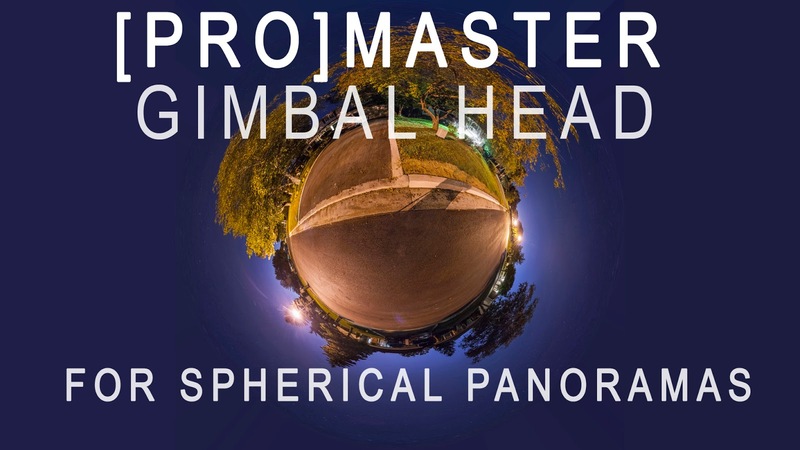 I found a specific use for spherical panoramas with my gimbal head. Read on for more about how, why and a video example..
Why would I use this instead of something dedicated like the nodal ninja? Well, I was shooting a lot of panoramas this summer for real estate, and I had a less than ideal workflow with my old tripod. This was literally the only thing resembling what I needed in any camera shop in town. I had a shoot the next morning and was fed up with the old tripod method, so I went for this. Not to mention, it was also about half the price of the cheapest nodal ninja. It does just about everything the exact same. How do I use it? Well thats a little challenging at times actually. It fits very narrow camera bodies. So currently, only my Rebel XTi fits on it. 50D and 6D definitely not, and weirdly - because of the design, the G15 doesn't fit on it either. GoPro would, but I'd rather the XTi for panoramas than the gopro. The camera is a little bit off centre by about 2cm. I am working towards fixing it, but I need to design a new baseplate to have machined for it. Which is as much work as it sounds like.. So I am waiting to see if I upgrade to an SL1 as my new panorama camera, since that - boasted as the smallest canon camera yet - should fit on the gimbal head nicely, which would then allow it to double as a fluid drag video tripod head when the SL1 is shooting video. Another bonus - when something is good at spherical panoramas, all you need is a little lens switch and it can be killer for "bokehramas" or "brenizer method" photos. 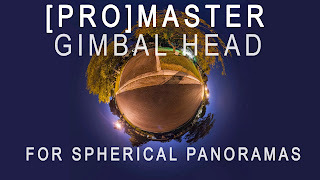 So if you haven't done any of these, you have a reason to start after picking up the ProMaster Gimbal head. The parallax error is extremely small, but still noticeable if you're shooting a small room. Wide vistas like outdoor landscapes and you shouldn't ever notice a parallax error when stitching. Which is great news for anyone that has tried to correct for them. Anyways, at this point I am just rambling. You're better to watch the video and see how it all works, see some examples of the spherical panorama and browsing it. And lastly, as with everything I do - it is of my own free will and the views expressed are my own. As nice as it would be to have my gear paid for, and just have to talk about what I love about it - I am not sponsored by anyone.